Thomas Quality Construction asks: Have you noticed a water stain on your ceiling? One of the most common roof repair situations we see are leaks around vent pipes. Roof vents are the pipes that protrude out and let the gases in your kitchen and bathroom escape. Although roof vents are necessary and create a balance between air exhaust and intake, the water tight seals around roof vents can get damaged over time by excessive heat, cold or wind. When this happens, vents can spring leaks. The leaking may first be seen in the attic, but if you don’t catch it right away you may see water coming into the house, dripping on the floor. If left unchecked, the water that sweeps in can eventually cause mold and structural damage to your home. The change of seasons can be nice but not so much for your roof vent pipes’ water-repelling ability. The heat of the summer and the cold of the winter can take their toll on your roof vent pipes’ flashing to retain the ability to reflect water from your home. Attic ventilation is also an important part of roofing. Proper attic ventilation extends the life of a roof and reduces problems because it minimizes the temperature differential between the attic and the air outside. Proper ventilation will remove moisture and heat from the attic. Trapped heat and moisture can raise energy costs and damage roof system components as well as structural and personal items located in the attic. 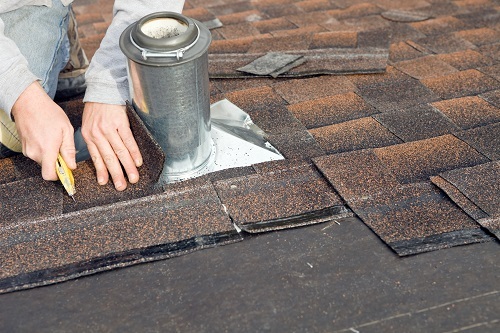 Without proper attic ventilation, numerous problems with temperature and moisture can arise and the lifetime of your roof may be significantly shortened. One of these problems is ice dams, when ice builds up in your eaves and gutters, which can buckle or fall off under the weight, causing serious and expensive damage to your home. Although caulking around roof vents can fix the problem for a while, it’s not a permanent solution. Moreover, this can cause more problems since it may mask the damage that’s already been done to your home by the leak. Call Thomas Quality Construction and have our roof specialists examine the roof to determine the best solution. Generally speaking, if your roof vents are damaged, it’s a good idea to replace them with new ones. If the rubber boot is cracked, rotted away or torn. When this happens, the water can sweep into the house along the pipe. Rusty and cracked collars around the vent pipe can allow rainwater to pool and eventually drip into your home. When metal bases have broken seams, water can seep in. When nails loosen, they can expose a hole in the roof that lets water through. A thorough inspection of your vent pipes to evaluate the extent of the damage. Removal of shingles above and around the roof vent pipe followed by the removal of the old flashing base. Pipe collar and underlying flashing replacement. At Thomas Quality Construction, we’re proud to have skilled home specialists who are dedicated to servicing all your roofing needs. Locally owned and operated, Thomas Quality Construction has years of experience in inspecting, repairing and replacing roofs. If you’re in need of roof vent repair, your number one choice should be Thomas Quality Construction.